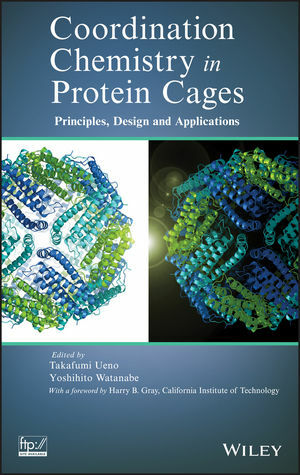 Featuring contributions from a team of international experts in the coordination chemistry of biological systems, this book enables readers to understand and take advantage of the fascinating internal molecular environment of protein cages. With the aid of modern organic and polymer techniques, the authors explain step by step how to design and construct a variety of protein cages. Moreover, the authors describe current applications of protein cages, setting the foundation for the development of new applications in biology, nanotechnology, synthetic chemistry, and other disciplines. Chapters are filled with detailed figures to help readers understand the complex structure, design, and application of protein cages. Extensive references at the end of each chapter serve as a gateway to important original research studies and reviews in the field. With its detailed review of basic principles, design, and applications, Coordination Chemistry in Protein Cages is recommended for investigators working in biological inorganic chemistry, biological organic chemistry, and nanoscience. TAKAFUMI UENO is Professor in the School and Graduate School of Bioscience and Biotechnology at Tokyo Institute of Technology. His current research interests involve the molecular design of artificial metalloproteins and exploitation of meso-scale materials with the coordination chemistry of protein assemblies. He was awarded the Young Investigator Award of the Japan Society of Coordination Chemistry in 2007 and the Young Scientists' Prize of the Commendation for Science and Technology by the Minister of Education, Culture, Sports, Science and Technology, Japan, in 2008. YOSHIHITO WATANABE is Professor in the Department of Chemistry at Nagoya University. Since 2009, he has been appointed a Vice President of Research and International Affairs. His current research interests include the design of hydrogen peroxide-dependent monooxygenase and construction of metalloenzymes with synthetic complexes at their catalytic centers. He is a recipient of the Chemical Society of Japan Award for Creative Work in 1999, and the Japan Society of Coordination Chemistry in 2011. He sits on two editorial boards and an international advisory board.